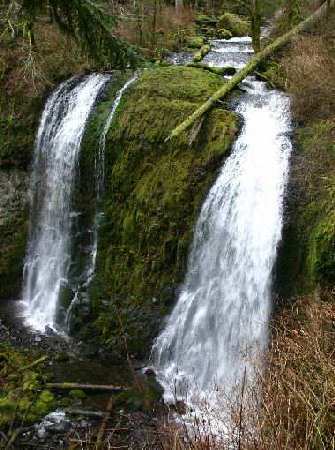 Elowah/Upper McCord Creek Falls are east of Portland. getting back onto I-84). After 2 miles park at John B. Yeon Park. for half a mile to Yeon Park. 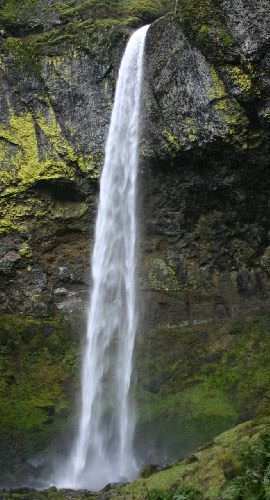 for another 0.4 miles to Elowah Falls. the right fork will lead to the two-fan Upper McCord Creek Falls.